NCM® Fathom Events and RiffTrax present “RiffTrax Live: ‘Manos’ The Hands of Fate” in theaters for only one night on Thursday, August 16 at 8 p.m. ET / 7 p.m. CT and tape delayed 7:00 p.m. MT / 8:00 p.m. PT. Featuring the same comedians from the cult classic “Mystery Science Theater 3000” (MST3K), Michael J. Nelson, Kevin Murphy and Bill Corbett will reunite on the big screen to fire off their wisecracking commentary on the 1966 American horror feature “‘Manos’ The Hands of Fate.” The event will be broadcast LIVE from Nashville to participating movie theaters across the country. Attendees will be treated not only to “Manos’” infamous abysmal acting, outdated effects and seemingly endless cat fights featuring ‘The Master’s’ many girdle-clad wives, but also a selection of free digital goodies. Tickets for “RiffTrax Live: ‘Manos’ The Hands of Fate” are available at participating theater box offices and online at www.FathomEvents.com. For a complete list of theater locations and prices, visit the NCM Fathom Events website (theaters and participants are subject to change). The event will be broadcast to more than 550 select movie theaters across the country through NCM’s exclusive Digital Broadcast Network. "Revisiting ‘Manos’ again after 19 years will be like running into a dear old friend—a friend who drinks all your beer and hits you up for money,” said Michael J. Nelson, RiffTrax creator and former host of the Emmy-nominated, Peabody Award-winning ‘Mystery Science Theater 3000.’ “Still, we're thrilled to be able to bring this timeless classic to the big screen. (Don't tell anyone but I seriously love this film.)" Previous successful Fathom and RiffTrax events have included “RiffTrax Live: Jack the Giant Killer” in August 2011, a hilarious riff of the cheesy 1962 fantasy epic featuring giant rubber monsters and a leprechaun in a jar; “RiffTrax Live: House on Haunted Hill” in October 2010, which took on the Vincent Price horror classic just in time for Halloween; “RiffTrax Live: Reefer Madness” in August 2010, parodying the legendary cult classic; “RiffTrax Live: Plan 9 From Outer Space” in August 2009, skewering what is widely considered to be the ‘worst film ever made’; and “RiffTrax Live: Christmas Shorts-Stravaganza” in December 2009, featuring “Weird Al” Yankovic. Infamous for its significant technical deficiencies and continuity flaws, “‘Manos’ The Hands of Fate,” written, directed, produced by and starring Harold P. Warren, is widely believed to be one of the worst films ever made. The plot revolves around a vacationing family who lose their way on a road trip in Texas, and find themselves trapped at a lodge maintained by a polygamous pagan cult. 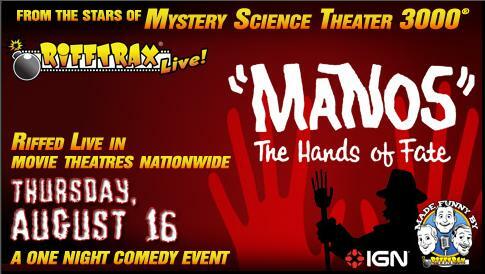 In 1993 “Mystery Science Theater 3000” featured “‘Manos’ The Hands of Fate,” launching the film’s cult status. Tickets for RiffTrax Live: ‘Manos’ The Hands of Fate are available at participating theater box offices and online at www.FathomEvents.com. June 26, 2012, New York - Van Morrison returns to Blue Note Records for a new studio album Born To Sing: No Plan B to be released on October 2. Morrison previously released the Grammy-nominated What's Wrong With This Picture? on Blue Note in 2003. Van says: "With most record companies being so corporate I am happy to be working with Don Was and the team at Blue Note. To have such a creative music person as the head of my recording label assures me that all the effort taken to write and record this new album will be rewarded with a music-based focus and marketing approach. I look forward to many recording projects with Don and Blue Note." Don Was adds: "Over a career that spans decades, Van Morrison has developed a body of work that is unparalleled in its consistent excellence. He is one of the greatest singer/songwriter/musicians of all time. We are incredibly honored that he has chosen to record for the Blue Note label and look forward to many fruitful years together." A six-time Grammy winner and member of the Rock n' Roll Hall of Fame and Songwriters Hall of Fame, Morrison is one of the most influential artists of the modern age. His poetically impressionistic lyrics and unique fusion of rock n' roll with soul, jazz and folk have deep emotional resonance and universal appeal. His transcendent masterpieces 'Astral Weeks' and 'Moondance' are typically ranked among the best albums of all-time, while his more recent recordings 'Magic Time' and 'Keep it Simple' enjoyed Top 10 debuts. Born To Sing: No Plan B was produced by Van and recorded in his native Belfast. This week TJR immerses into dark psychedelic rock world of the Black Angels latest album Phosphene Dream. Meanwhile I celebrate Joan Osborne's latest album of soul music titled Bring it on Home. 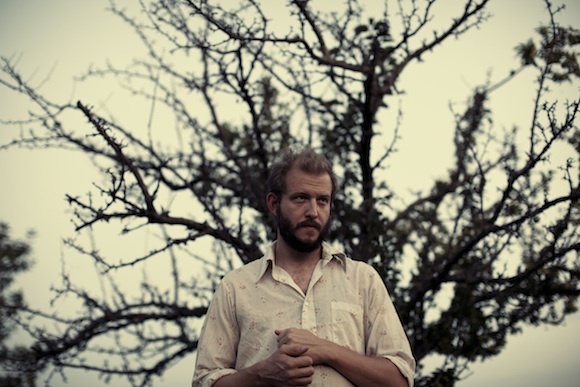 - Check it out and give us your feedback"
Last week Bon Iver released a new iTunes Session (click HERE to stream its version of "Beth/Rest") and picked up the award for Independent Album of the Year at the inaugural Libera Awards curated by the American Association of Indepedent Music. Bon Iver's label has announced new dates along the Eastern United States, including two additional dates in New York at Radio City Music Hall. Anais Mitchell will open for most of these dates. Much has been said of Bon Iver's transformation into a nine-person live band. The Miami New Times in a recent live review, captures the essence of this magic particularly well: "Often, live music is an attempt to approximate something captured in a studio. As exceptional as Bon Iver's recordings are, Bon Iver in concert is an entirely different creature. By turns defiant and pliant, pained and triumphant, with Bon Iver, the songs are not merely live but living." Check out the full list of tour dates at the band's Web site here. Fanatic, Heart's 14th studio album, arrives Tuesday, October 2. The group's second full-length studio album for Legacy, Fanatic premieres 10 new essential performances from sisters Ann Wilson and Nancy Wilson on songs including "Fanatic," "Dear Old America," "Walkin' Good" (featuring Sarah McLachlan), "Skin and Bones," "Million Miles," "Pennsylvania," "Mashallah," "Rock Deep (Vancouver)," "59 Crunch," and "Corduroy Road." NOTE; YOU CAN READ MY REVIEW OF HEART'S EXCELLENT CONCERT IN ANAHEIM IN FEBRUARY 2012 HERE. SPECIAL THANK YOU TO KELLY A. SWIFT FOR THE USE OF HER IMAGE FROM THAT SHOW. 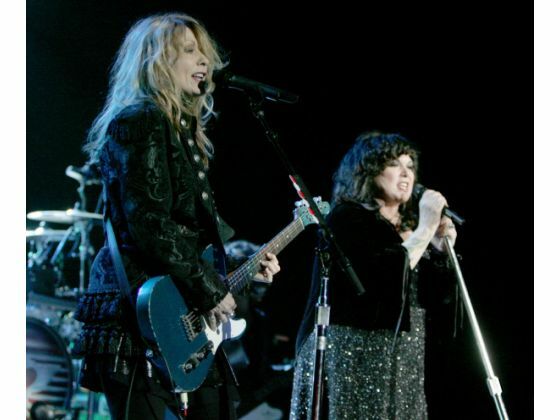 The first album of new music from Ann and Nancy Wilson since 2010's Red Velvet Car had its Top 10 debut in 2010, Fanatic was recorded in hotel rooms and studios up and down the West Coast, with Grammy-winning producer Ben Mink back at the helm with the Wilson sisters drawing from their own lives and personal experiences as inspiration for their music. "Dear Old America" comes from memories of a military household and is written from the point of view of their father, a Marine Corps officer, returning from war ("When I get home, I'm going to own this town/Shine this medal/Wear that crown…. "); "Rock Deep (Vancouver)" harkens back to the city where Dreamboat Annie was written; and "Walkin' Good" (a duet with Vancouver resident Sarah McLachlan) captures the joy of finding new life in a new love. The title song is a celebration of the Wilson's life spirit: Ann and Nancy are fanatics about love, art, truth, and the belief that they can do anything together they set their minds to. 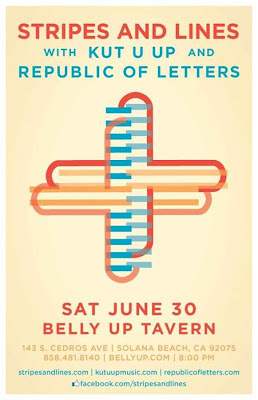 My review originally ran on the Soundcheck blog of The Orange County Register site on Saturday, June 23, 2012. A special "thank you" to Kelly A. Swift for the use of her great photos. From left, bassist Rick Savage, guitarist Phil Collen and drummer Rick Allen of Def Leppard perform at Verizon Wireless Amphitheater on Friday, June 22, 2012. The movie musical Rock of Ages has been a bit of a disappointment at the box office since it opened earlier this month, earning under $20 million in its opening week, but the band behind the original ’80s hit of the same name played to another full house in Irvine Friday night (June 22, 2012). 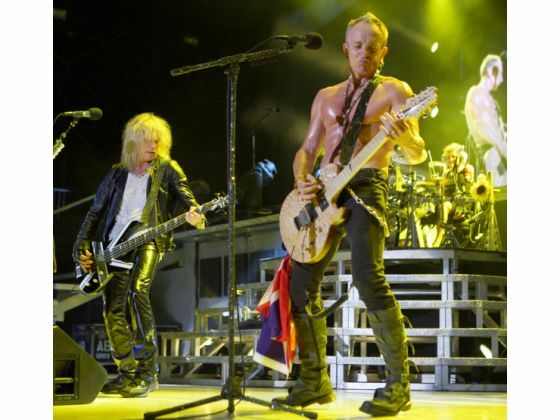 Def Leppard checked in on the second date of its summertime Rock of Ages Tour at Verizon Wireless Amphitheater to jump start the first weekend of summer, blasting out all of the quintet’s hits to the delight of a large crowd eager to party. While openers Lita Ford and Poison had performed to a decidedly greater number of empty seats earlier in the evening, the headlining U.K. hit-makers turned in an amped-up show that gave fans everything they came for. The Sheffield band has one of rock’s most compelling biographies, including the death of original guitarist Steve Clark in 1991 and drummer Rick Allen’s inspired ability to overcome the loss of his left arm following a tragic car crash seven years earlier, carrying on using a specially designed electronic drum kit that has become an integral part of the band’s sound ever since. Having sold more than 100 million albums in 35 years together, Def Leppard keeps shows focused on its wealth of smash singles. The group continues to ensure that fans never wait more than a few minutes before another one arrives. 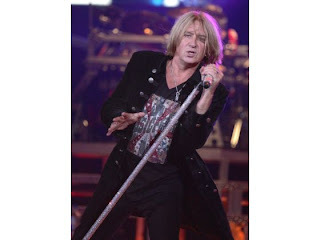 Those radio favorites — “Hysteria,” “Foolin’,” “Rocket,” “Love Bites” and many more — typically pack huge choruses spotlighting lead singer Joe Elliott (seen on the right) and the backing voices of his band mates, blended with a fat rhythm and virtuoso guitar work courtesy of Phil Collen (longtime O.C. resident) and Vivian Campbell. It was that formula that fueled the party for the audience on Friday, who sang along when directed, pumped their arms in the air and lifted their beers toward the night sky whenever Def Lep launched into another staple. By the time the band got through its opening cut, “Undefeated,” and delved into its second song ,”Rocket,” the crowd had already engaged their own thrusters and thousands were hollering out lyrics at full throttle. Bret Michaels-led outfit Poison pleased plenty of people positioned around me, but ultimately offered up an hour-long set of nondescript glam metal. A version of the band’s biggest hit, “Every Rose Has Its Thorn,” came amid a set otherwise padded with bland rockers like “Look What the Cat Dragged In” and “Ride the Wind,” as well as pedal-to-the-metal covers (“Your Mama Don’t Dance,” “We’re an American Band”) that failed to capture any of the magic of the originals. The highlight of the band’s set was the anthem “Nothin’ But a Good Time,” which admittedly connected with a crowd who felt the same way about this triple-bill. Inbox Update: The Zombies, Bill Nelson, Van Der Graaf Generator and more! Convexe Entertainment is excited to announce the upcoming release of Live At Metropolis Studios, London, a series of 6 concerts recorded in 2010/2011 at the famed Metropolis Studios in West London, featuring Van Der Graaf Generator, The Zombies, Bill Nelson, John Lees' Barclay James Harvest, Caravan, and Roy Harper. 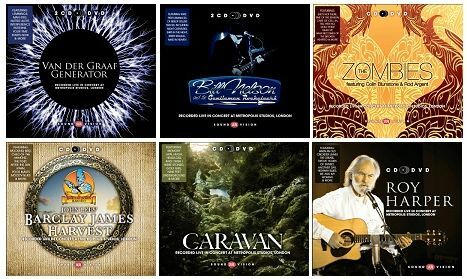 Each of these legendary acts performed in front of a small audience in a unique and ambient setting, resulting in a spectacular collection of concerts filmed in HD and recorded in 5.1 Surround Sound. Each concert in the series will be released on CD/DVD* in summer 2012. The first three concerts in the series will be released on August 7, featuring Van Der GraafGenerator, The Zombies, and Bill Nelson. The second installment, featuring Caravan, John Lees' Barclay James Harvest, and Roy Harper, is slated for Fall 2012 release. Alongside King Crimson, Van Der Graaf Generator was one of the greatest progressive rock acts of the late '60s and '70s. In December 2010, the original 3 member lineup of Peter Hammill, Hugh Banton and Guy Evans made an extremely rare UK appearance at Metropolis Studios, performing to an ecstatic crowd in an intimate atmosphere. Fractured time signatures, Hammill's fervent and occasionally terrifying vocals, the complexity of the band's music, the inscrutability of their lyrics...it all adds up to a unique and inimitable performance. The DVD includes revealing interviews with all three band members. Since their formation in the '60s, The Zombies have not only enjoyed UK Top 10 and U.S. Top 5 Hits, but have grown to a cult status, with contemporary artists like Paul Weller and Dave Grohl naming them for favourite/influential albums and songs. In January 2011, The Zombies performed a superb set to 120 enraptured guests packed into Metropolis Studios. Led by founding membersColin Blunstone and Rod Argent, the group performed a veritable 'Best Of' the Zombies. Blunstone's unique voice dazzled for the concert, which included classics like She's Not There and Time Of The Season, as well as individual Argent/Blunstone hits like What Becomes Of The Broken Hearted, Hold Your Head Up, Say You Don't Mind and I Don't Believe In Miracles. Blunstone and Argent are interviewed on the DVD, which also includes footage of the band reception after the show. Almost exclusively a studio artist (over 80 albums/mini albums since the early '70s), an acknowledged creative genius, and one of the revered rock guitar experimentalists, Bill Nelson has collaborated with David Sylvian, Yellow Magic Orchestra and been the driving force behind Be Bop Deluxe, and Red Noise. At the end of March 2011, Bill Nelson and the Gentlemen Rocketeers, along with one hundred plus guests, populated Studio A at Metropolis for a rare one-off concert. 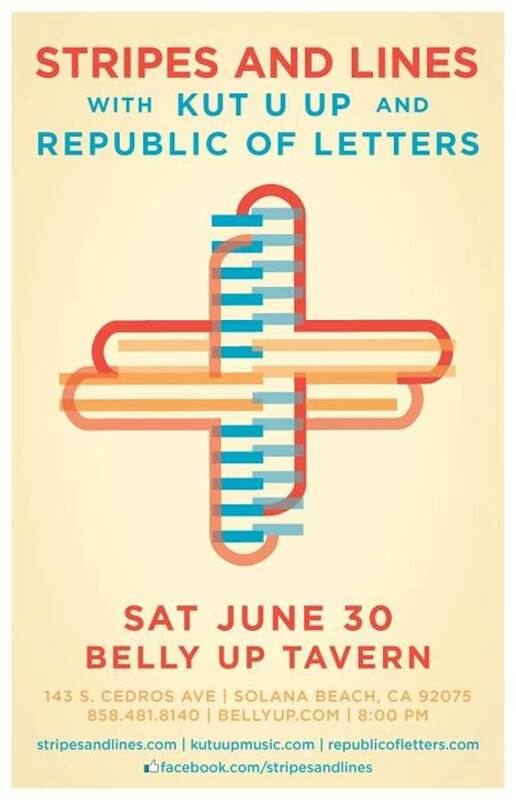 Wielding an array of gorgeous-looking guitars, Nelson and his cohorts treated those present to a dynamite concert reminiscent of the Marquee club in its heyday. Performing a number of rarely heard Bebop Deluxe numbers, this blistering fourteen song set from the band, which covers much ofNelson's career to date, is a feast for Nelsonophiles (not to mention electric guitar fetishists). DVD extras include an interview with Nelson and a sublime four track solo set. Canterbury's finest, Caravan reformed especially for this December 2010 concert at Metropolis' Studio A, delivering an electric performance which included many favourites from their 25 album, 40+ year career. The DVD includes interviews with the band and audience members, and captures the magic of that historic night. One of Europe's most legendary progressive rock bands, John Lees' Barclay James Harvest gave an epic performance at Metropolis Studios in December 2010 in front of 120 fans, with no one in the room standing more than ten feet away from a band that has played to hundreds of thousands. The band performed classics like Child Of The Universe, Mocking Bird, Poor Man's Moody Blues, The Poet/After The Day, Hymn and Medicine Man. The DVD includes a rare interview with founding member John Lees. One of the UK's foremost singer-songwriter-guitarists, Roy Harper mesmerized 120 guests in April 2011 at London's Metropolis Studios. His breathtaking performance and an absorbing interview that he gave afterwards are all captured on this release. Hailed by Pink Floyd and Led Zeppelin, beloved by fans after nearly half a century of performance, it would not be unreasonable to apply the term "legendary" to Roy Harper. For this special concert, he performed songs spanning his entire recording career. There are very few live performances by Roy Harper available on DVD (+CD), and none as captivating as this. The Live At Metropolis Studios, London series is a truly unique collection of releases, capturing some legendary acts in an intimate setting delivering some unforgettable performances. A must-have for fans of progressive rock! Los Angeles, CA – Impassioned troubadour William Elliott Whitmore is bringing his riveting and heartfelt live shows across North American this fall in continued support of his acclaimed album Field Songs. Beginning in Pittsburgh on September 12th, Whitmore will be joined by Oklahoma-based singer/songwriter Samantha Crain. Tickets go on sale starting Friday, June 22. All on sale times and locations can be found by visiting: http://williamelliottwhitmore.com/tour.php. Raised on a farm and armed with a guitar, a banjo and some truly riveting songs, Whitmore lends a powerful and poetic voice to disenfranchised and forgotten working people across the land. The album finds the fiery singer-songwriter musically detailing the rural landscapes, characters and culture of a youth spent on a family farm along the Mississippi River. Flo Rida, Cee Lo Green, and B.O.B. have teamed up for one of summer’s hottest musical events, the “R You on the List” tour. The nine-city arena tour will also feature chart-topper Kirko Bangz on select dates. “R You on the List” will be the first headlining tour for three-time Grammy-nom Flo Rida, who “consistently proves his command of the rap and pop world” (Billboard). Best known for smash hits “Low” and “Right Round,” the infectious title track from his new album ‘Wild One’—a collaboration with Sia—has been blazing the top of iTunes charts since December. ‘R You on the List’ will be the last time fans will have a chance to see Grammy-winning The Voice star Cee Lo Green before he begins a three week residency at Planet Hollywood Resort and Casino in Las Vegas. Since his debut single “Nothin’ on You” (featuring Bruno Mars) reached number 1 on the Billboard Hot 100, B.o.B. has been featured in a national Adidas endorsement campaign and received nods from awards shows from the American Music Awards and Grammys, to the BET Awards and NAACP Image Awards. Houston native Kirko Bangz has been rapping since the age of 15, motivated by his mother’s struggle as a single parent. He’s best known for his song “Drank in My Cup” which peaked at # 28 on the Billboard Hot 100. Tickets for Los Angeles are on sale now through Ticketmaster.